This collection of songs is an ongoing project. All the songs (so far) are Emily Dickinson settings. The collection is a tribute to Yaddo, a remarkable, necessary and historic artist retreat in Saratoga Springs, New York, that has nurtured some of the greatest artistic talent in the world! I have been blessed. Yaddo has been a vital part of my creative life, and at times, has literally kept me alive. It has been a great source of strength and inspiration. The strength comes in the form of validation and encouragement to take risks in my work. The inspiration reveals itself through the spirit of the grounds, and the spirits of the artists and guardians – past, present and future. I owe more than words can express to that sacred place and all the spirits I have encountered there. These songs not only represent a tribute to Yaddo, but also birthday tributes to beloved friends, all in some way connected to Yaddo. 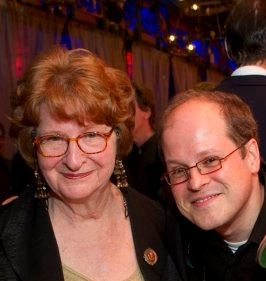 for tenor & piano (2012) is dedicated to Pat Towers in loving celebration of her birthday. She is a most highly esteemed guardian and beloved friend with a warm and generous heart. She is the source of much joy and love. for mezzo-soprano & piano (2015) is dedicated to Dalit Warshaw in loving celebration of her birthday. I have the deepest respect and admiration for one of my dearest and beloved friends, Dalit . She is a composer of incomparable gifts with a generous heart, extraordinary sensitivity and a remarkable spirit. for tenor & piano (2012) is dedicated to Joseph Caldwell in loving celebration of his birthday. Joe is one of the greatest American writers, a beloved Yaddo guardian, and the source of boundless joy, generosity, inspiration and love. He is a guiding light and most beloved friend! Our collaboration has been one of the most cherished and creative highlights of my life! Joe has the most remarkable spirit. He radiates joy, love and generosity. His brilliant work, most cherished friendship and our weekly dinners (with some rejoicing) have been an incalculable force in my life. for mezzo-soprano & piano (2013) is dedicated to David Del Tredici in loving celebration of his birthday. David is the most distinguished composer, the father of Neo-Romanticism, a cherished Yaddo guardian and truly one of the greatest composers – ever! He is not just a mentor, but also a most cherished and beloved friend. That is such a privilege and blessing! He is the most authentic, perceptive, joyful, ecstatic, vulnerable, mischievous, brilliant and expressive spirit. He is a powerful inspiration. He follows his heart and instinct. His highly distinctive music reflects his rich, generous and complex spirit. He is able, unlike any other, to express his joy, passion, love and anguish through his music. The inspiration is multi-faceted in nature, profound and beyond words. for tenor & piano (2012) is dedicated to Susan Brynteson in loving celebration of her birthday. Susan is a most beloved and cherished friend. She is also the most beloved and devoted Yaddo guardian. She is the personification of Yaddo, especially the Yaddo spirit of generosity and nurturing. "Libraries truly change lives," and she is the catalyst that sets it in motion through her love, dedication and generosity. It is truly an incalculable figure to imagine all the lives she has touched and transformed through the many causes she has devoted herself. She is the source of much joy, love, strength and inspiration. for mezzo-soprano & piano (2015) is dedicated to Devika Rege in loving celebration of her birthday. Devika is a deeply gifted writer from India and a most beloved and cherished friend. It has been a great blessing to meet her and share countless conversations about music, art and literature at Yaddo. She has a brilliant mind and a kind and generous soul. Her joy and wonder are infectious. She has awakened me to a new joyful realm. She is the source of great joy and inspiration.